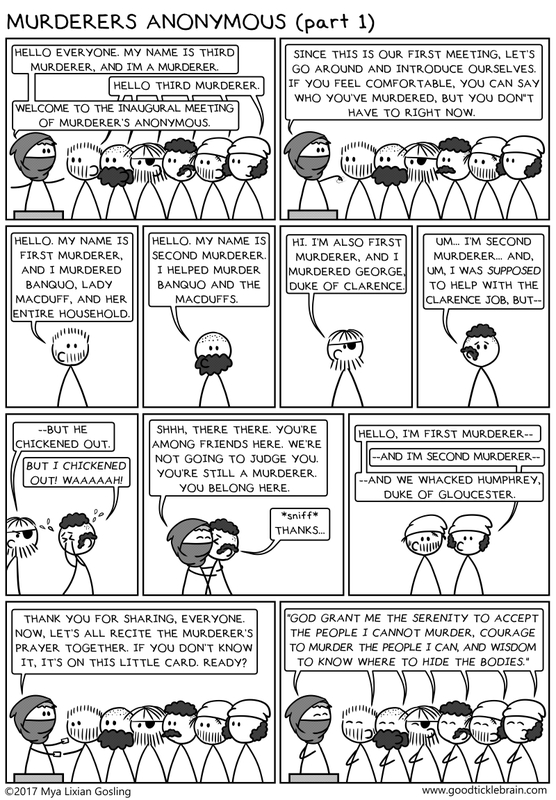 There are many murderers in Shakespeare's plays, but only seven who are named "Murderer". These are them. Third Murderer is in charge of the meeting because there is only one third murderer, whereas there are three first murderers and three second murderers. Third murderers are rare.